Out of thousands of submissions, an unknown blue collar worker cabinet maker and singer-songwriter wrote a song that made the top selection process at the prestigious International Christian Film and Music Festival at the young age of over 40. 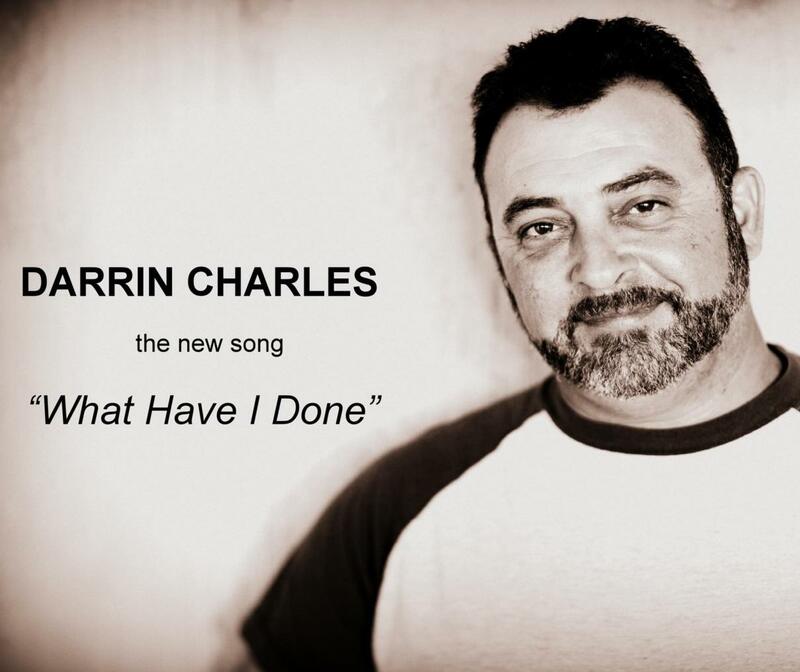 ORLANDO, Fla. - March 14, 2019 - PRLog -- Darrin Charles, a music artist from the New Port Richey Florida Area, had an amazing feat for his first song, "What Have I Done?" This is a great way to launch a career with his first song, first submission, first music festival and first selection process to be in a festival. It happened are 9:15 pm live on 24flix.com. The official announcement site for the International Christian Film and Music Festival for all official selectees from thousands of films and songs submissions. The official announcement site for the International Christian Film and Music Festival for all official selectees from thousands of films and songs submissions. Darrin Charles releases his new song, using lyrics that touch on spiritual themes along with "everyday situations of life", he will take his place among the rarified air of songwriters who possess that uncommon knack for probing into both secular and spiritual themes. Charles was first recorded in 2003 in a mall recording booth in New Port Richey, Florida. You see Darrin is over 40 in which most new artists are less than 25. This is amazing, you know God does miracles at any age. In a late-night phone call from his record label, Darrin Charles is quoted as "I am extremely excited and blessed just to be chosen, and thanking all the judges." This is a great way to launch a career with his first song, first submission, first music festival and first selection process to be in a festival. In his first song "What Have I Done?" Darrin asks his audience the vital question almost everyone ponders in their heart, "how could God love such an imperfect being like me?" And how can any of us ever deserve such kindness from the Creator of the Universe. CEO Joseph A. Camerieri of Independent label David and Goliath Publishing, LLC. An executive producer of the song. "In my circles, people agree with my analogy that it's a Spiritual prequel or point of view to the most successful Christian song "I Can Only Imagine" by Mercy Me. I am a huge fan of that song in which it brings tears to my eyes all the time as with Darrin's song too. In 2017, we finally had enough financing to record the song in Big 3 Studios in St. Petersburg, Florida with Jim "Pinky" Beaman as producer and Chief engineer and mixer, recording engineer was Mark Parfitt. "Last few years its been heavy trials for Darrin, and this is a huge blessing, a light for Darrin's path set before him, as Joseph A. Camerieri replies. First to thank is God and Jesus the Christ, who opened doors and hearts of people to make this song a reality. Thank you to all his bandmates and musicians and those judges of International Christian Film and Music Festival who selected our song for the festival. What I Have Done? I think all people should listen to it.